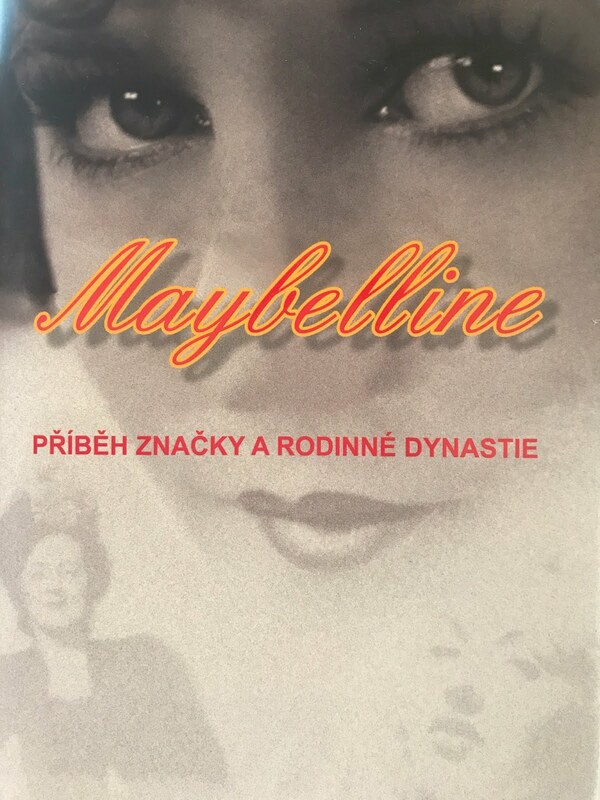 THE MAYBELLINE STORY : MAYBELLINE GLAMOUR ADS created at Valentno's Villa in West Hollywood during the 1930's, 40's, 50's, 60's. 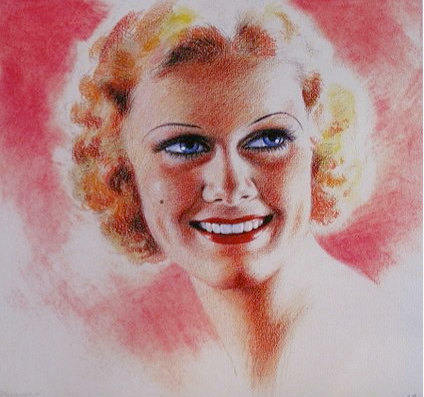 MAYBELLINE GLAMOUR ADS created at Valentno's Villa in West Hollywood during the 1930's, 40's, 50's, 60's. Tom Lyle Williams in front of the Villa Valentino posing with his convertible Packard late 1930's. 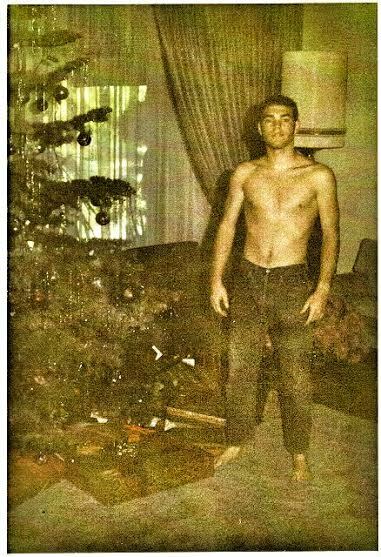 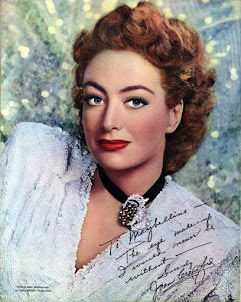 From the Villa Valentino studio in Hollywood came Technicolor airbrushed photos of stars’ faces so flattering and popular that movie studio executives flocked to Tom Lyle to promote the movies their stars were appearing in. 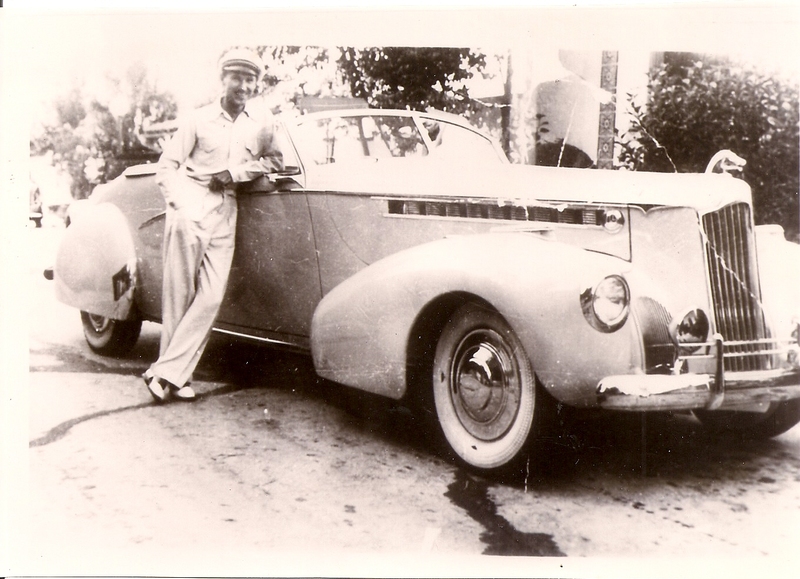 Fox girl, Betty Grable posed for Maybelline in what became one of the most effective ploys in advertising: before-and-after photos (and a favorite war-time pin-up girl), which Tom Lyle pioneered. 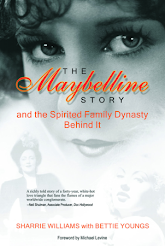 Maybelline was also the first cosmetic company to create cosmetic displays in dime and drug stores across the nation. 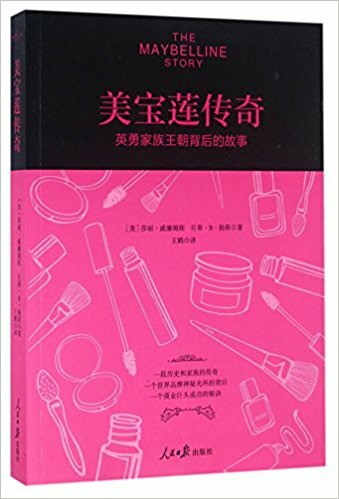 Maybelline became the largest eye beauty retailer in America, provoking Revlon’s Charles Revson to accuse them of monopolizing the market. 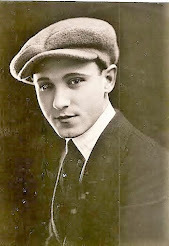 Read more about Tom Lyle Williams, the Maybelline Co, and his love of beauty in every form, in The Maybelline Story and the Spirited Family Dynasty Behind it. 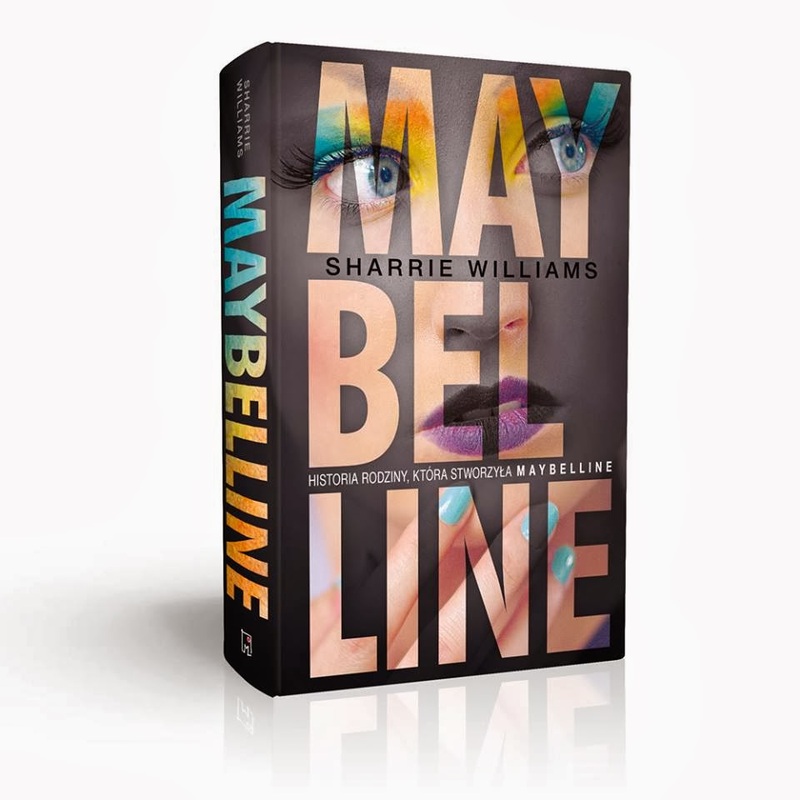 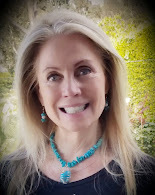 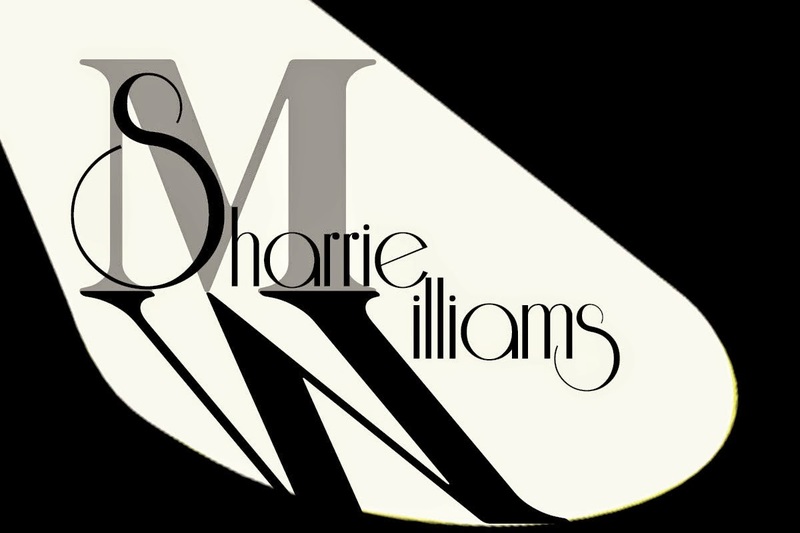 Buy an autographed copy from author Sharrie Williams, Tom Lyle's great niece by clicking onto maybellinestory.com.